"4 Elements" redirects here. For the album by Chronic Future, see 4 Elements (album). Classical elements typically refer to the concepts, rejected by modern science, in ancient Greece of earth, water, air, fire, and (later) aether, which were proposed to explain the nature and complexity of all matter in terms of simpler substances. Ancient cultures in Greece, Babylonia, Japan, Tibet, and India had similar lists , sometimes referring in local languages to "air" as "wind" and the fifth element as "void". The Chinese Wu Xing system lists Wood (木 mù), Fire (火 huǒ), Earth (土 tǔ), Metal (金 jīn), and Water (水 shuǐ), though these are described more as energies or transitions rather than as types of material. These different cultures and even individual philosophers had widely varying explanations concerning their attributes and how they related to observable phenomena as well as cosmology. Sometimes these theories overlapped with mythology and were personified in deities. Some of these interpretations included atomism (the idea of very small, indivisible portions of matter) but other interpretations considered the elements to be divisible into infinitely small pieces without changing their nature. While the classification of the material world in ancient Indian, Hellenistic Egypt, and ancient Greece into Air, Earth, Fire and Water was more philosophical, during the Islamic Golden Age medieval middle eastern scientists used practical, experimental observation to classify materials. In Europe, the Ancient Greek system of Aristotle evolved slightly into the medieval system, which for the first time in Europe became subject to experimental verification in the 1600s, during the Scientific Revolution. Modern science does not support the classical elements as the material basis of the physical world. Atomic theory classifies atoms into more than a hundred chemical elements such as oxygen, iron, and mercury. These elements form chemical compounds and mixtures, and under different temperatures and pressures, these substances can adopt different states of matter. The most commonly observed states of solid, liquid, gas, and plasma share many attributes with the classical elements of earth, water, air, and fire, respectively, but these states are due to similar behavior of different types of atoms at similar energy levels, and not due to containing a certain type of atom or a certain type of substance. In classical thought, the four elements earth, water, air, and fire as proposed by Empedocles frequently occur; Aristotle added a fifth element, aether; it has been called akasha in India and quintessence in Europe. The concept of the five elements formed a basis of analysis in both Hinduism and Buddhism. In Hinduism, particularly in an esoteric context, the four states-of-matter describe matter, and a fifth element describes that which was beyond the material world. Similar lists existed in ancient China, Korea and Japan. In Buddhism the four great elements, to which two others are sometimes added, are not viewed as substances, but as categories of sensory experience. In Babylonian mythology, the cosmogony called Enûma Eliš, a text written between the 18th and 16th centuries BC, involves four gods that we might see as personified cosmic elements: sea, earth, sky, wind. In other Babylonian texts these phenomena are considered independent of their association with deities, though they are not treated as the component elements of the universe, as later in Empedocles. The system of five elements are found in Vedas, especially Ayurveda, the pancha mahabhuta, or "five great elements", of Hinduism are bhūmi (earth), ap or jala (water), tejas or agni (fire), marut, vayu or pavan (air or wind) and vyom or shunya (space or zero) or akash (aether or void). They further suggest that all of creation, including the human body, is made up of these five essential elements and that upon death, the human body dissolves into these five elements of nature, thereby balancing the cycle of nature. The five elements are associated with the five senses, and act as the gross medium for the experience of sensations. The basest element, earth, created using all the other elements, can be perceived by all five senses – (i) hearing, (ii) touch, (iii) sight, (iv) taste, and (v) smell. The next higher element, water, has no odor but can be heard, felt, seen and tasted. Next comes fire, which can be heard, felt and seen. Air can be heard and felt. "Akasha" (aether) is beyond the senses of smell, taste, sight, and touch; it being accessible to the sense of hearing alone. In the Pali literature, the mahabhuta ("great elements") or catudhatu ("four elements") are earth, water, fire and air. In early Buddhism, the four elements are a basis for understanding suffering and for liberating oneself from suffering. The earliest Buddhist texts explain that the four primary material elements are the sensory qualities solidity, fluidity, temperature, and mobility; their characterization as earth, water, fire, and air, respectively, is declared an abstraction – instead of concentrating on the fact of material existence, one observes how a physical thing is sensed, felt, perceived. The Buddha's teaching regarding the four elements is to be understood as the base of all observation of real sensations rather than as a philosophy. The four properties are cohesion (water), solidity or inertia (earth), expansion or vibration (air) and heat or energy content (fire). He promulgated a categorization of mind and matter as composed of eight types of "kalapas" of which the four elements are primary and a secondary group of four are color, smell, taste, and nutriment which are derivative from the four primaries. Tibetan Buddhist medical literature speaks of the Panch Mahābhūta (five elements). The Chinese had a somewhat different series of elements, namely Fire, Earth, Metal (literally gold), Water and Wood, which were understood as different types of energy in a state of constant interaction and flux with one another, rather than the Western notion of different kinds of material. Although it is usually translated as "element", the Chinese word xing literally means something like "changing states of being", "permutations" or "metamorphoses of being". In fact Sinologists cannot agree on any single translation. The Chinese elements were seen as ever changing and moving – one translation of wu xing is simply "the five changes". The Wu Xing are chiefly an ancient mnemonic device for systems with five stages; hence the preferred translation of "movements", "phases" or "steps" over "elements." In Chinese philosophy the universe consists of heaven and earth. The five major planets are associated with and even named after the elements: Jupiter 木星 is Wood (木), Mars 火星 is Fire (火), Saturn 土星 is Earth (土), Venus 金星 is Metal (金), and Mercury 水星 is Water (水). Also, the Moon represents Yin (陰), and the Sun 太陽 represents Yang (陽). Yin, Yang, and the five elements are associated with themes in the I Ching, the oldest of Chinese classical texts which describes an ancient system of cosmology and philosophy. The five elements also play an important part in Chinese astrology and the Chinese form of geomancy known as Feng shui. The doctrine of five phases describes two cycles of balance, a generating or creation (生, shēng) cycle and an overcoming or destruction (克/剋, kè) cycle of interactions between the phases. The ancient Greek concept of five basic elements, these being earth (γῆ ge), water (ὕδωρ hudor), air (ἀήρ aer), fire (πῦρ pur) and aether (αἰθήρ aither), dates from pre-Socratic times and persisted throughout the Middle Ages and into the Renaissance, deeply influencing European thought and culture. These five elements are sometimes[when?] associated with the five platonic solids. The four classical elements of Empedocles and Aristotle illustrated with a burning log. The log releases all four elements as it is destroyed. Sicilian philosopher Empedocles (ca. 450 BC) proved (at least to his satisfaction) that air was a separate substance by observing that a bucket inverted in water did not become filled with water, a pocket of air remaining trapped inside. Prior to Empedocles, Greek philosophers had debated which substance was the primordial element from which everything else was made; Heraclitus championed fire, Thales supported water, and Anaximenes plumped for air. Anaximander argued that the primordial substance was not any of the known substances, but could be transformed into them, and they into each other. Empedocles was the first to propose four elements, fire, earth, air, and water. He called them the four "roots" (ῥιζώματα, rhizōmata). Plato seems to have been the first to use the term "element (στοιχεῖον, stoicheion)" in reference to air, fire, earth, and water. The ancient Greek word for element, stoicheion (from stoicheo, "to line up") meant "smallest division (of a sun-dial), a syllable", as the composing unit of an alphabet it could denote a letter and the smallest unit from which a word is formed. Fire is both hot and dry. Air is both hot and wet (for air is like vapor, ἀτμὶς). Water is both cold and wet. Earth is both cold and dry. A classic diagram has one square inscribed in the other, with the corners of one being the classical elements, and the corners of the other being the properties. The opposite corner is the opposite of these properties, "hot – cold" and "dry – wet". Aristotle added a fifth element, aether, as the quintessence, reasoning that whereas fire, earth, air, and water were earthly and corruptible, since no changes had been perceived in the heavenly regions, the stars cannot be made out of any of the four elements but must be made of a different, unchangeable, heavenly substance. In Bön or ancient Tibetan philosophy, the five elemental processes of earth, water, fire, air and space are the essential materials of all existent phenomena or aggregates. The elemental processes form the basis of the calendar, astrology, medicine, psychology and are the foundation of the spiritual traditions of shamanism, tantra and Dzogchen. physical properties are assigned to the elements: earth is solidity; water is cohesion; fire is temperature; air is motion; and space is the spatial dimension that accommodates the other four active elements. In addition, the elements are correlated to different emotions, temperaments, directions, colors, tastes, body types, illnesses, thinking styles, and character. From the five elements arise the five senses and the five fields of sensory experience; the five negative emotions and the five wisdoms; and the five extensions of the body. They are the five primary pranas or vital energies. They are the constituents of every physical, sensual, mental, and spiritual phenomenon. Thus, bearing in mind that thought struggles incessantly against the treachery of language and that what we observe and describe is the observer himself, we may nonetheless proceed to investigate the successive phases in our becoming human beings. Throughout these phases, the experience (das Erlebnis) of ourselves as an intensity (imaged and felt as a "god", lha) setting up its own spatiality (imaged and felt as a "house" khang) is present in various intensities of illumination that occur within ourselves as a "temple." A corollary of this Erlebnis is its light character manifesting itself in various "frequencies" or colors. This is to say, since we are beings of light we display this light in a multiplicity of nuances. The elemental system used in Medieval alchemy was developed primarily by the Arab alchemist Jābir ibn Hayyān (Geber). His system consisted of the four classical elements of air, earth, fire, and water, in addition to two philosophical elements: sulphur, characterizing the principle of combustibility, "the stone which burns"; and mercury, characterizing the principle of metallic properties. 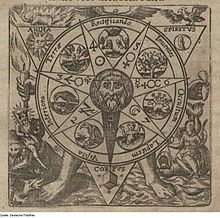 They were seen by early alchemists as idealized expressions of irreducibile components of the universe and are of larger consideration within philosophical alchemy. The three metallic principles—sulphur to flammability or combustion, mercury to volatility and stability, and salt to solidity—became the tria prima of the Swiss alchemist Paracelsus. He reasoned that Aristotle’s four element theory appeared in bodies as three principles. Paracelsus saw these principles as fundamental and justified them by recourse to the description of how wood burns in fire. Mercury included the cohesive principle, so that when it left in smoke the wood fell apart. Smoke described the volatility (the mercurial principle), the heat-giving flames described flammability (sulphur), and the remnant ash described solidity (salt). The Islamic philosophers al-Kindi, Avicenna and Fakhr al-Din al-Razi connected the four elements with the four natures heat and cold (the active force), and dryness and moisture (the recipients). Japanese traditions use a set of elements called the 五大 (godai, literally "five great"). These five are earth, water, fire, wind/air, and void. These came from Indian Vastu shastra philosophy and Buddhist beliefs; in addition, the classical Chinese elements (五行, wu xing) are also prominent in Japanese culture, especially to the influential Neo-Confucianists during the medieval Edo period. Fire represented things that destroy. Void or Sky/Heaven represented things not of our everyday life. The Aristotelian tradition and medieval alchemy eventually gave rise to modern chemistry, scientific theories and new taxonomies. By the time of Antoine Lavoisier, for example, a list of elements would no longer refer to classical elements. Some modern scientists see a parallel between the classical elements and the four states of matter: solid, liquid, gas and weakly ionized plasma. Modern science recognizes classes of elementary particles which have no substructure (or rather, particles that are not made of other particles) and composite particles having substructure (particles made of other particles). Western astrology uses the four classical elements in connection with astrological charts and horoscopes. The twelve signs of the zodiac are divided into the four elements: Fire signs are Aries, Leo and Sagittarius, Earth signs are Taurus, Virgo and Capricorn, Air signs are Gemini, Libra and Aquarius, and Water signs are Cancer, Scorpio, and Pisces. ^ Boyd, T.J.M. ; Sanderson, J.J. (2003). The Physics of Plasmas. Cambridge University Press. p. 1. ISBN 9780521459129. LCCN 2002024654. ^ Ball, P. (2004). The Elements: A Very Short Introduction. Very Short Introductions. OUP Oxford. p. 33. ISBN 9780191578250. ^ Rochberg, Francesca (December 2002). "A consideration of Babylonian astronomy within the historiography of science" (PDF). Studies in History and Philosophy of Science. 33 (4): 661–684. CiteSeerX 10.1.1.574.7121. doi:10.1016/S0039-3681(02)00022-5. ^ Gopal, Madan (1990). K.S. Gautam (ed.). India through the ages. Publication Division, Ministry of Information and Broadcasting, Government of India. p. 78. ^ Ranade, Subhash (December 2001). Natural Healing Through Ayurveda. Motilal Banarsidass Publisher. p. 32. ISBN 9788120812437. ^ Jagannathan, Maithily. South Indian Hindu Festivals and Traditions. Abhinav Publications. pp. 60–62. ^ Meyer-Dinkgräfe, Daniel (2005). Theatre and Consciousness: Explanatory Scope and Future Potential. Intellect Books. ISBN 9781841501307. ^ Nath, Samir (1998). Encyclopaedic Dictionary of Buddhism. Sarup & Sons. p. 653. ISBN 9788176250191. ^ Tirupati Raju, Poola. Structural Depths of Indian Thought: Toward a Constructive Postmodern Ethics. SUNY Press. p. 81. ^ Lusthaus, Dan. "What is and isn't Yogācāra". ^ "Kayagata-sati Sutta". Majjhima Nikaya. p. 119. Retrieved 2009-01-30 – via accesstoinsight.org. ^ Gurmet, Padma (2004). "'Sowa - Rigpa' : Himalayan art of healing". Indian Journal of Traditional Knowledge. 3 (2): 212–218. ^ Eberhard, Wolfram (1986). A Dictionary of Chinese Symbols. London: Routledge and Keegan Paul. pp. 93, 105, 309. ISBN 978-0-7102-0191-1. ^ Lloyd, G. E. R. (1968). Aristotle: The Growth and Structure of his Thought. Cambridge: Cambridge University Press. pp. 133–139. ISBN 978-0-521-09456-6. ^ Lindemann, Mary (2010). Medicine and Society in early Modern Europe. Cambridge University Press. p. 19. ISBN 978-0-521-73256-7. ^ Tenzin Wangyal Rinpoche (2002). Healing with Form, Energy, and Light. Ithaca, New York: Snow Lion Publications. p. 1. ISBN 978-1-55939-176-4. ^ Herber V. Günther (1996). The Teachings of Padmasambhava (Hardcover ed.). Leiden, Netherlands: E. J. Brill. pp. 115–116. ^ Norris, John A. (2006). "The Mineral Exhalation Theory of Metallogenesis in Pre-Modern Mineral Science". Ambix. 53: 43–65. doi:10.1179/174582306X93183. ^ Clulee, Nicholas H. (1988). John Dee's Natural Philosophy. Routledge. p. 97. ISBN 978-0-415-00625-5. ^ Rafati, Vahid. Lawh-i-Hikmat: The Two Agents and the Two Patients. `Andalib, vol. 5, no. 19, pp. 29-38. ^ Kikuchi, Mitsuru (2011), Frontiers in Fusion Research: Physics and Fusion, London: Springer Science and Business Media, p. 12, ISBN 978-1-84996-411-1, Empedocles (495–435 BC) proposed that the world was made of earth, water, air, and fire, which may correspond to solid, liquid, gas, and weakly ionized plasma. Surprisingly, this idea may catch the essence. ^ Tester, S. J. (1999). A History of Western Astrology. Boydell & Brewer. pp. 59–61, 94. ^ Dijksterhuis, Eduard Jan (1969). The mechanization of the world picture. Translated by C. Dikshoorn. Princeton, NJ: Princeton University Press. p. 71. Russell, Bertrand (1995) History of Western Philosophy, Routledge, ISBN 0-415-07854-7. Strathern, Paul (2000). Mendeleyev's Dream – the Quest for the Elements. New York: Berkley Books.